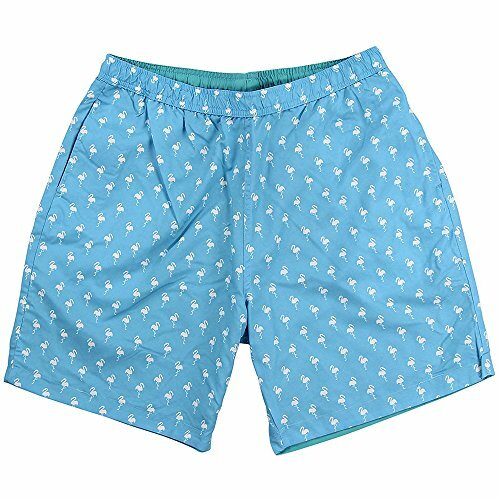 Mens swim shorts for holidays on the beach.Wish you have a good time at the seaside. 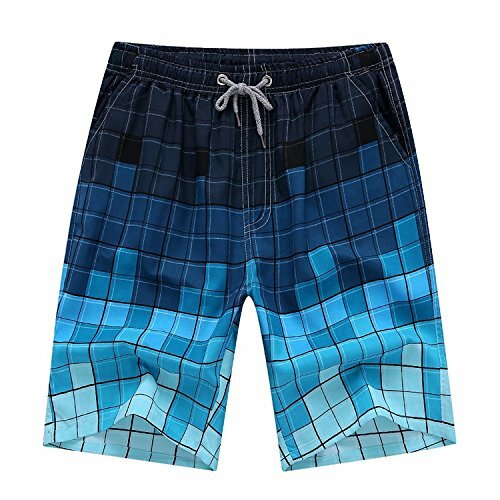 These Dolfin® men's Ocean Water swim shorts are ideal for catching a big wave at the beach or diving in your backyard pool. The mesh brief liner and breathable nylon fabric promise comfort all day long, and an elastic waist delivers the perfect fit. 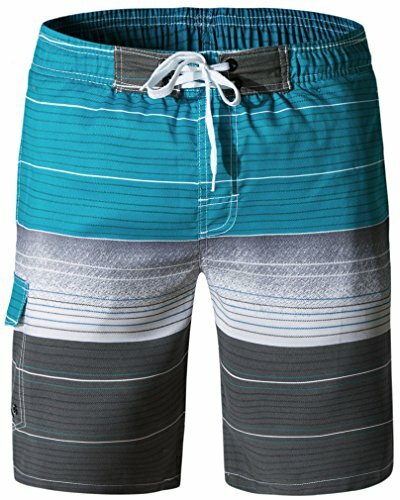 One pair of awesome swim trunks, two ways to wear it. On the outer shell you will find a fashion graphic on the reverse side, you'll find a sold color. 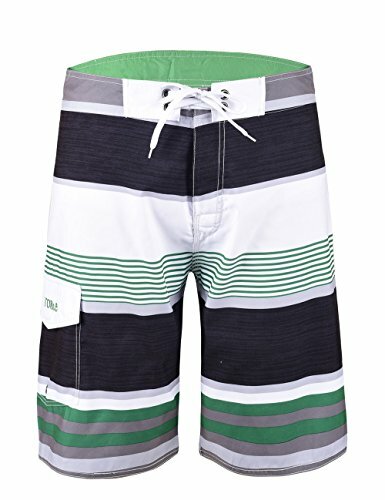 Functional details include an elastic waist band with a drawstring closure. 2 hip pockets on the graphic side and 2 hip pockets on the solid side with a back pocket with drain hole to prevent waterlogging. 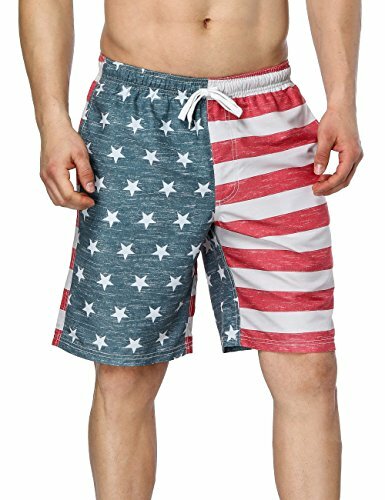 Charmo Mens Board Shorts Swimwear Trunks Printed with the Star-Spangled Banners swimming trunks. Built with mesh pockets on both side. 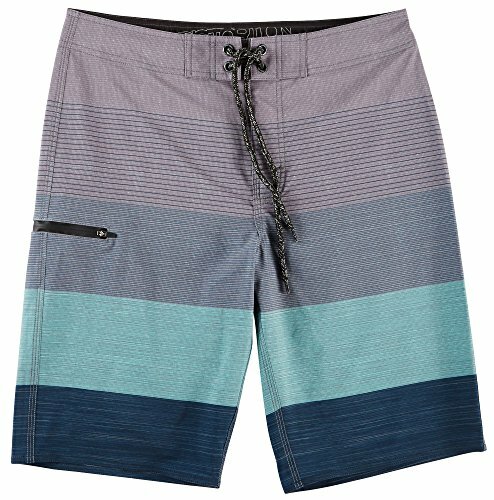 Elastic waist band and drawstring surf shorts. 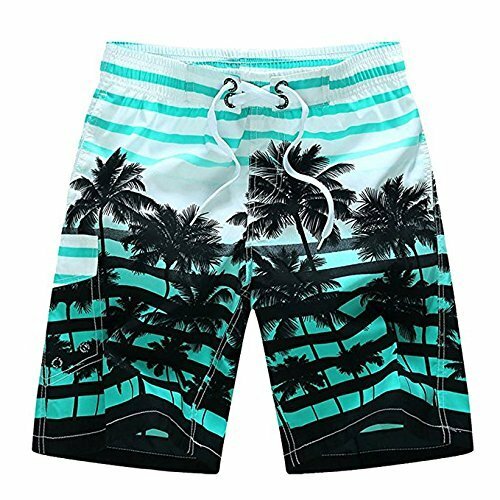 Loose fitting beach shorts, perfect for 4th July celebration and other holiday occassion. No lining. Material:100% Polyester Note:Color difference due to different monitors. 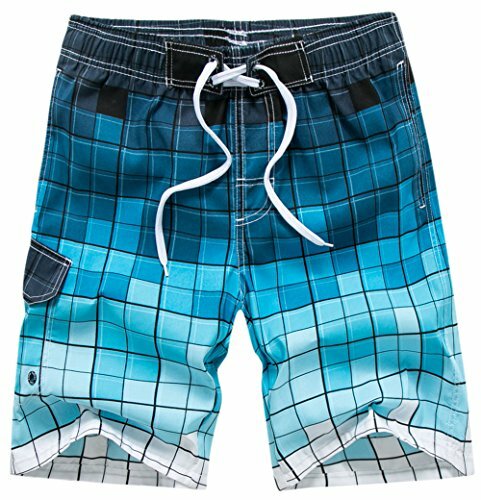 Package includes: Mens Boardshorts*1 Sold By Charmo Unauthorized to Other Retailers!